Welcome to Metro Detroit Doulas and Childbirth Educators! Metro Detroit Doulas and Childbirth Educators Facebook page. The After Baby Lady - Founder, Jill Reiter CPD is a certified postpartum doula (Childbirth And Professional Postpartum Association). Postpartum means the time after you have a baby. Her wish is for more women to know postpartum doulas are available to make the transition to parenting easier. She serves Macomb, Oakland and Wayne Counties. "I love supporting families as they adjust to having a new baby in their home," says Jill. She is also CAPPA Faculty and trains others to become postpartum doulas. Please visit The After Baby Lady link to learn more about how Jill supports families in Metro Detroit, Michigan. Dream a Little Dream Doula Services, LLC - Owner. 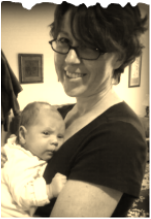 Jen is a DONA-trained birth doula supporting families in SE Michigan, including Oakland County and portions of Genessee. With her own four births, she has experienced childbirth in every setting available to families in our area (hospital birth, birth center birth, and homebirth). This means that, as a doula, she is comfortable supporting families where they choose to birth. She has experience supporting birth hypnosis clients and Bradley families. She also has experience with several Spinning Babies techniques. Please visit Jen's website to learn more about her business, philosophy, and the random thoughts she explores in her blog -- or follow her on her Facebook page. 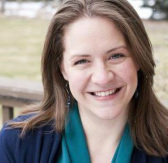 Erin Barnes is a DONA-trained birth doula serving the Metro Detroit and Ann Arbor areas. She provides education, resources, breastfeeding help, and postpartum support. She lives in Livonia with her husband and two young children. “I love supporting soon-to-be, birthing, and new moms. I love sharing my knowledge and experience with couples to help them transition into parenthood with as much confidence and calm as possible. It’s such a miracle and an honor to witness a new soul coming into this world!” You can learn more about Erin here or follow her on her Facebook page. Cynthia Jackson is a Birth Doula serving Metro Detroit (Wayne, Macomb, & Oakland counties) . She is the founder of Sacred Rose Birthing Services, and her motto is "Roses are red, Postpartum is sometimes blue, Every pregnant woman deserves a doula, Why not YOU!" Cynthia is a DONA trained birth doula and CAPPA trained childbirth educator. She provides labor support and education about pregnancy, birth, breastfeeding, postpartum care, newborn care, and more. She is the Detroit Area Regional Coordinator for Friends of Michigan Midwives, their mission is to educate and inform the public about the profession of midwifery and gain supporters for licensure for midwives in the state of MI. Cynthia is also the state representative for International Center for Traditional Childbearing (ICTC), their mission is to promote breastfeeding, reduce infant mortality, and increase the number of midwives in the African American community. Cynthia says, "I am very passionate about birth and I love to assist women & families with their birth choices whether it's in a hospital, birth center, or home birth." To contact Cynthia click here.